2018-06-14 That CAM2.0 is on the agenda of many manufacturing companies was evident from the great interest in our Get Ready for CAM2.0 event. The subject was clearly explained from several perspectives by the speakers during the event. From the what and why of CAM2.0 to how you determine a practical approach. Short NX CAM demos showed, among other things, how you can reuse PMI in Feature Based Machining. 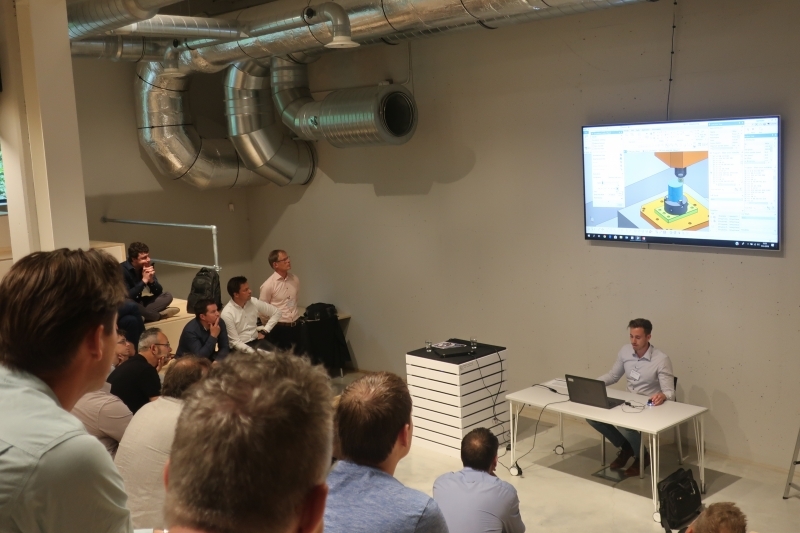 Ronny Blaauwgeers then shared his practical experiences with the realization of CAM2.0 at Aeronamic. All in all an informative afternoon with food for thought.